Equity crowdfunding, just like private equity, is actually not a new concept. These forms of financing are as old as the concept of corporation (which dates back to Babylon and Hammurabi). What is new is the professionalisation of private equity, and more recently of equity crowdfunding. However, where the two forms of financing diverge is on the role of intermediaries. Where private equity has seen the emergence of funds and fund managers, crowdfunding has actively participated in the disintermediation of the financing of private (i.e., non-listed) businesses. Indeed equity crowdfunding platforms have reduced the intermediation to a matching service between capital providers and capital seekers. Equity crowdfunding sounds a rather logical evolution of a financing practice under the stimulus of modern communication technologies. Indeed, it has attracted a lot of media and political attention, being lauded as an answer to the dearth of SMB financing, notably after the last financial crisis. However, this theoretical reasoning falls short of matching the reality of financing. The net returns of venture capital in Europe are mediocre: over ten years, as of end of 2012, they are of +3.6% in the UK, -1.7% in Germany and –0.9% in France, according to the European Private Equity and Venture Capital Association (EVCA). As a matter of comparison, the overall sector of private equity has generated returns of respectively +11.4%, 3.4% and 8.6% over the same period. The time between the creation of company and the liquidity events (IPO or trade sale) has significantly increased after the technological bubble burst (from 5-7 years to 9.2 years on average in the US, according to Yale in 2008). The reduced number of investors for the first rounds of financing has had a systematic effect: venture capital requiring investment syndication, it is more difficult to structure the first rounds of financing if the number of participants decreases. Equity crowdfunding is supposed to solve this problem. However, it does so only very partially. Crowdfunding represented 2.7 billion USD invested in 2012 via 308 platforms, according to Massolution (5.1 billion projected for 2013). Equity crowdfunding represented 15% of this total, that is to say 405 million worldwide. Europe has gathered an estimated 142 million USD in equity crowdfunding, which have to be compared to the 3.2 billion EUR invested in 2012. A strong focus in favor of incremental technologies which are notably aimed at business-to-consumer businesses. This sector is already largely covered (notably by business angels). The intervention of crowdfunding feeds a certain inflation of valuations, which is affecting negatively the attractiveness and the long term development of start-ups. It delivers only a modest contribution to the development of start-ups (anticipated orders of products/services, advertisement through word of mouth). It does not offer any mentoring or advice from the shareholders, which have a limited or no interaction with the management. Moreover, crowdfunding offers limited or no stability of financial resources: shareholders invest a little amount and are very unlikely to participate in higher and larger rounds of financing. a. Start-ups usually require a significant amount of capital. The syndication is essential to aggregate capital from multiple sources. By limiting the freedom of investment structuring, crowdfunding does not facilitate syndication with business angels or other investors in venture capital. b. Start-ups need multiple rounds of financing to grow. Crowdfunding can only rely on itself for further rounds of financing, due to the rigidities it introduces in the governance of the SMBs it has financed. Syndication and structuration of rounds of investments are essential to integrate new talents to the Board of directors of a company. Crowdfunding deprives these start-ups from this fundamental input. More than money, this is the expertise, the network and the interactions between investors and managers which increase the success rate of start-ups. Equity crowdfunding does not support the quest for this valuable input. Many attempts to disintermediate the financing of start-ups have been undertaken. The UK has promoted a partial disintermediation through venture capital trusts; France through FCPIs. These are not necessarily successful (70% of FCPIs have lost money). Crowdfunding is a step further in disintermediation of a sector which requires a reinforced intermediation to bridge the gap of a structural deficit of information in start-ups. Instead of increasing the protection of investors, crowdfunding is suppressing it and gives the power to the entrepreneur, in a relationship where the latter has already the upper hand. The advantage of crowdfunding is to reduce financing frictions, but the benefit is low and at the price of an even poorer investor information (no due diligence possible). Should we be afraid of crowdfunding? Not really. Very few platforms will survive. Calculating a commission of 10 to 28% on the amounts raised, the total turn-over of the European platforms in 2012 was of 14.2 to 39.6 million EUR. As 452 platforms were active in Europe, this means that on average, the annual turn-over for equity crowdfunding was of 31 to 88’000 EUR. Moreover, under its current form, this way of financing will remain marginal due to its focus and the limits mentioned above. Finally, the dissatisfactions (and abuses) will limit its attractiveness – and the fashion will fade away. 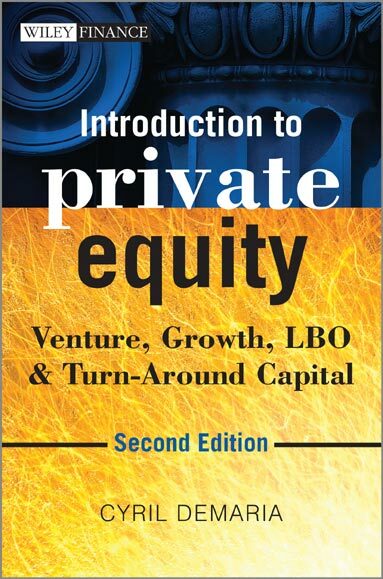 Cyril Demaria is the author of Introduction to Private Equity: Venture, Growth, LBO & Turn-Around Capital, 2nd edition, published by Wiley, July 2013, (RRP £39.99). 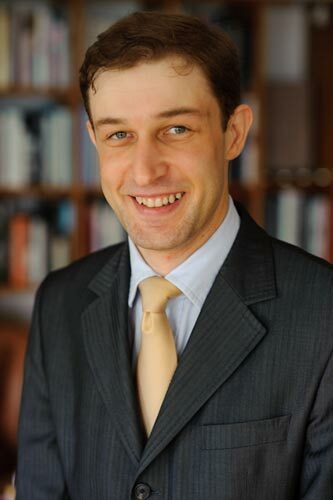 He is also a venture capital fund manager and lecturer at EDHEC, ESCP-Europe and ESCE.